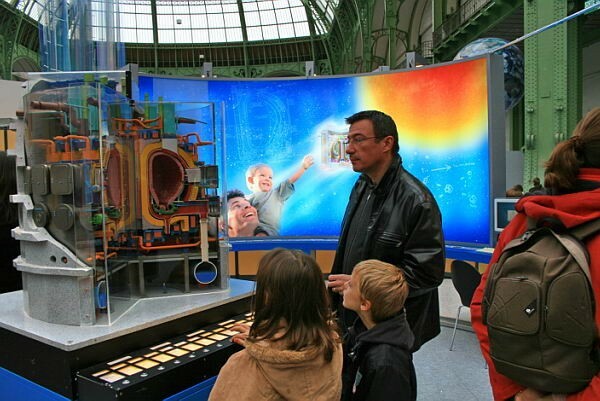 A fusion reactor is frankly difficult to move and thus not very handy when it comes to promoting fusion research to a larger public. 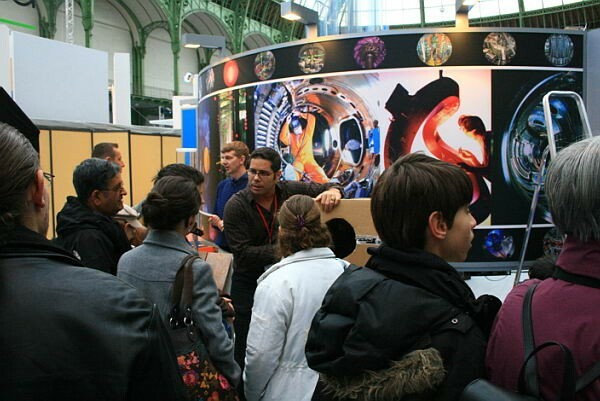 This is why the European Fusion Development Agreement, in short EFDA, set up a road show that has attracted many thousands of people around Europe—junior and senior—since its inception. 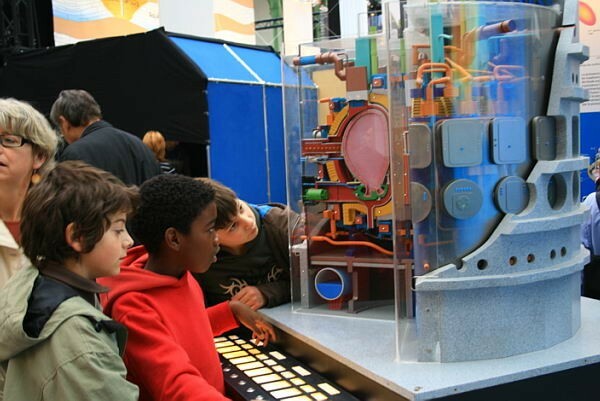 The Fusion Expo is a traveling exhibition designed to be accessible to non-scientists. In a clear and simple way, it explains the fundamentals of fusion, describes Europe's fusion research facilities, introduces the ITER Project, and looks ahead to the construction of a working fusion power plant. Fusion is presented as an environmentally acceptable, safe and sustainable energy technology. The exhibition is financed by EFDA and the European Commission. Two years ago, the Expo was entirely revamped and modernized to make it an even more effective tool. Since October 2008, the Expo has been the responsibility of the Slovenian Fusion Association. The next exhibition will be held in Ljubljana, Slovenia, from the 9-20 March.